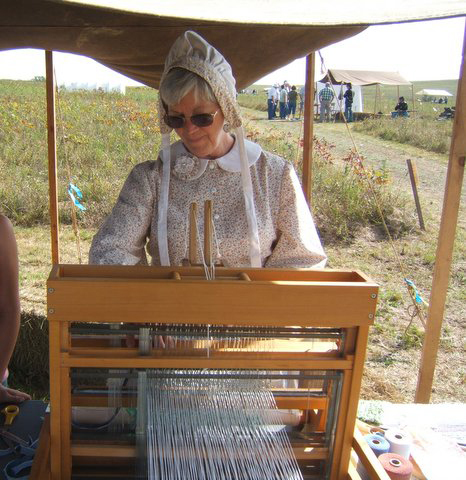 Above: Dorothy in her handmade period costume, September 2012 at Prairie State Park. She gave weaving demonstrations on her table top loom. Fabric bowl Dorothy makes on her sewing machine. Lovely rug in progress on the floor loom. make this at our January meeting! A rug made from recycled sweaters!